Winter in Greater Eureka Springs is one of the best times to enjoy the outdoors. One of the most popular winter outdoor activities is wildlife viewing. The Greater Eureka Springs Region is located in the Ozark Mountains. Surrounded by abundant lakes, rivers, streams and unspoiled wilderness, it is an ideal location for a variety of wildlife. People from across the country come to Eureka Springs to view bald eagle soar over Beaver Lake or to watch wild elk graze in the peaceful valleys of the Buffalo River National Park. 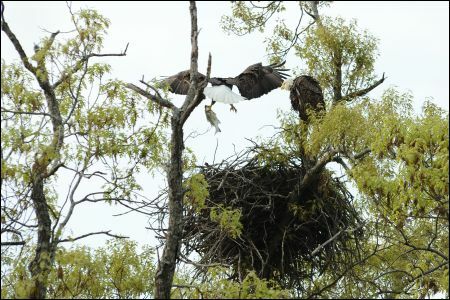 Eagles nest near Beaver Lake in Eureka Springs. Eagle cruises offer visitors a chance to see our nation's bird in flight. Arkansas is a mecca for eagle watching and the Eureka Springs region is the center for this activity. This is because of the large open waters of Beaver Lake, Table Rock Lake and rivers like the White River and America’s first national river, the Buffalo River. Following their food supply, bald eagles move south as northern waters begin to freeze and arrive in Arkansas around October making the state their home until around February. Arkansas State Park Interpreter John Morrow shares, “some eagles are here year-round … and some are coming in from Canada and the far northern states.” There are estimated to be more than 1,700 eagles in Arkansas. While eagles typically choose remote locations to inhabit, Arkansas State Park Interpreters know where to look and offer Eagle Cruises during the winter months so visitors are more likely to see these majestic birds in flight. Check the Official Eureka Springs Calendar of Events to see when the next Eagle Cruise is offered and visit Hobbs State Park website to learn more. The bald eagle is a symbol of American patriotism and freedom. Once endangered, today eagles are protected by legislation and due to conservation efforts and increased awareness, are making a strong comeback. Experience our nation’s bird in flight and book your Eagle Cruise today. Wild elk graze in the Buffalo River National Park near Eureka Springs. Wild elk have been roaming the Ozark Mountains of Arkansas since the 1980’s when they were reintroduced for conservation. 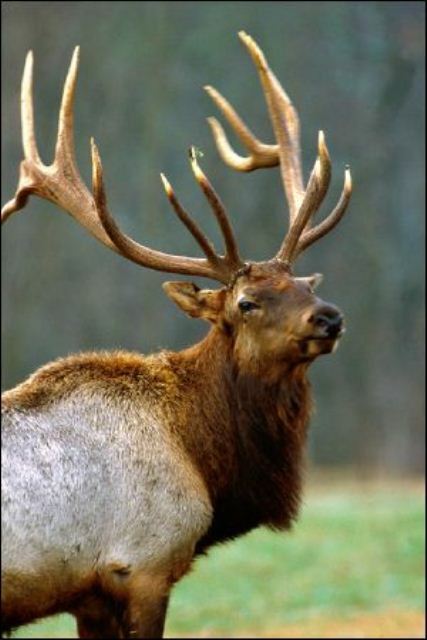 In the early 19th century, the Eastern elk filled the mountainous areas of Arkansas before becoming extinct. Today, the Rocky Mountain elk, also large herbivores, play the same important role in the Arkansas ecosystem. Elk are the largest native mammal in Arkansas. Adult males weight close to 700 pounds and their antlers alone average 40 pounds. More than 500 elk live in the Buffalo River National Park in Boxley Valley near Ponca. While watching for elk, be sure and look for a Royal bull, Imperial bull, or Monarch. How can you tell which is which? Count their antler points. (Royal has 6 points on each side, Imperial has 7 and Monarch has 8). Arkansas State Parks located in the greater Eureka Springs region include Hobbs State Park Conservation Area and Withrow Springs. See a Arkansas State Park map to prepare for your visit. While in Arkansas, you won’t want to miss the Buffalo River National Park. It is the only National Park in Arkansas and was established around America’s First National River. Listed in National Geographic Magazine’s Top 10, it is one of America’s most under appreciated national parks but that doesn’t make it any less significant. You don’t even have to get back in your car to watch wildlife. White-tailed deer and wild birds make their home in the city limits of the mountain town of Eureka Springs. Take a walk around Black Bass Lake, Lake Leatherwood, or just around historic downtown Eureka Springs. A winter vacation in the Greater Eureka Springs Region is an adventure trip. Winter is without a doubt, one of the best times to enjoy the outdoors in the Natural State. Located in the Ozark Mountains, the Greater Eureka Springs Region has year round outdoor appeal. Relax in Eureka Springs cabins near beaver lake or enjoy cottages in the Victorian town of Eureka Springs. With so many things to see and experience, Arkansas is a winter wonderland. Discover mountaintop resorts and great Eureka Springs lodging. Make a note of our ‘must see’ places to visit and plan your Arkansas adventure trip. This entry was posted on January 4, 2012 by estcblog in The Great Outdoors, Things to Do and tagged Arkansas, beaver lake, Black Bass Lake, Buffalo National River, Eureka Springs, historic downtown, natural springs, Outdoor, Table Rock Lake, white river, Winter, Withrow Springs State Park.